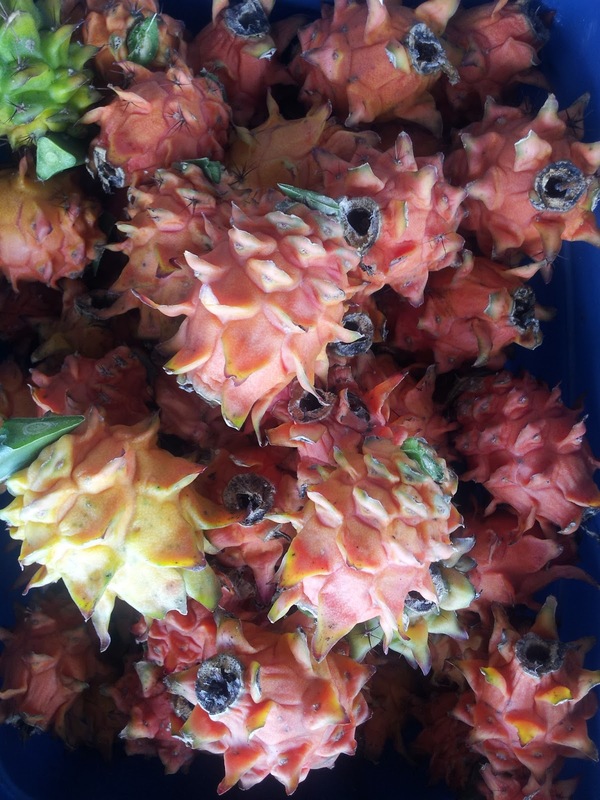 One dragonfruit variety, we grow 8 different varieties. Ea O Ka Aina: See film "Island Earth"
Have you had your 'olena (turmeric) today? Big pile of produce at Keauhou Farmers Market. Fresh fruit is the best.